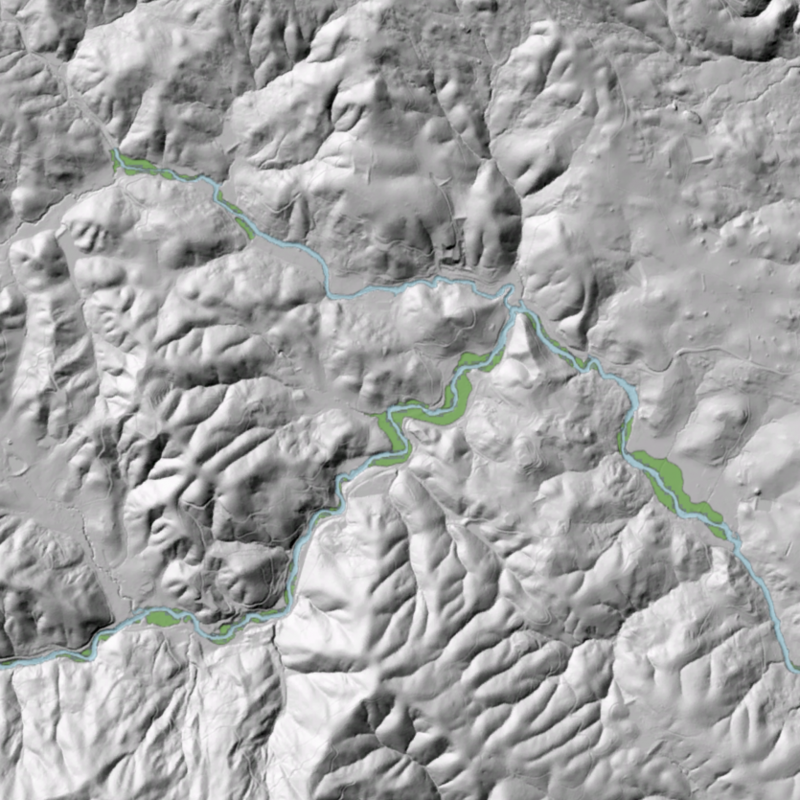 Tukman Geospatial has completed screening level functional riparian maps for Sonoma County Ag + Open Space. 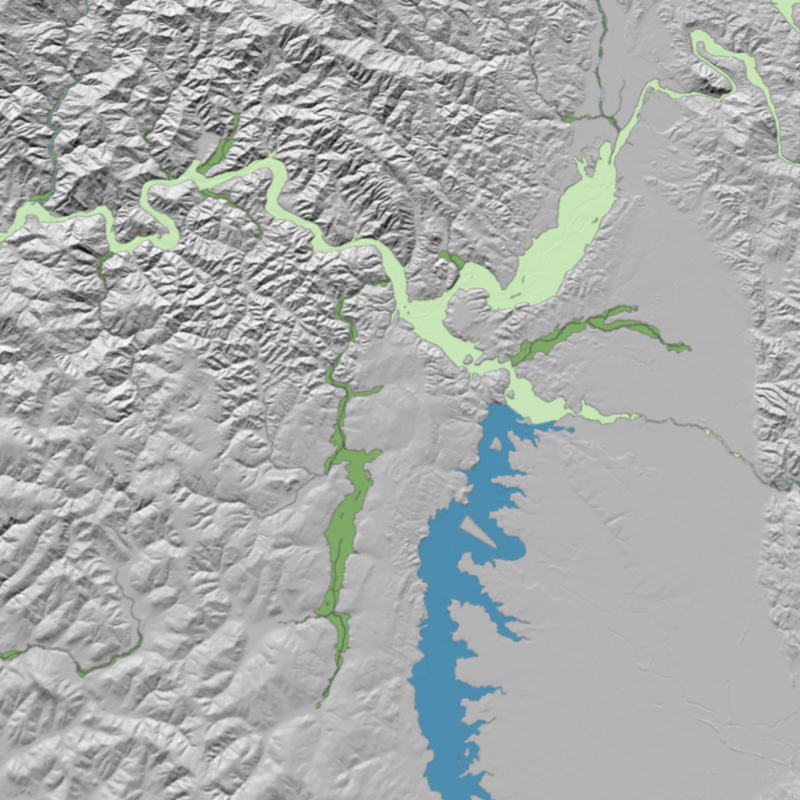 The maps approximate the extent of channel and floodplains in Sonoma County for riparian corridors with greater than 2,500 acres of upstream catchment area. This effort is made possible by very high resolution topographic data derived from the county-wide high-density LiDAR data collected in fall, 2013. Tukman Geospatial developed the maps using a combination of field work, object based image analysis (OBIA) using Trimble Ecognition, manual photointerpretation and historic flood information. OBIA included the creation of a ruleset in Ecognition that created channel and floodplain polygons using the relationship between LiDAR-derived flow accumulation and vertical Height Above River (HAR). The ruleset was developed and tested by Tukman Geospatial in consultation with Dr. Joan Florsheim, a fluvial geomorphologist. Vertical height above river was generated following an adaptation of methods outlined by Dilts et. al. In addition to flow accumulation and HAR, LiDAR derived slope served as a third input to the Ecognition ruleset. 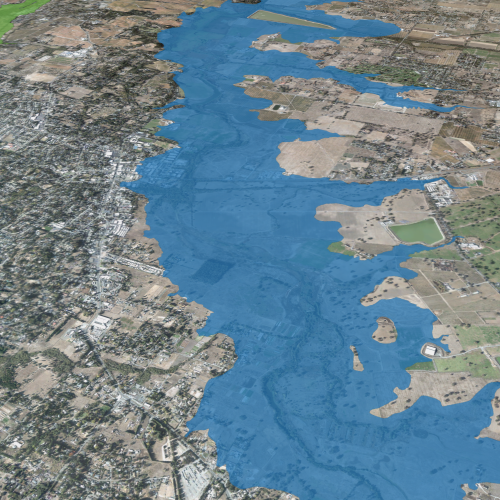 In the screening level riparian maps, the extent of the floodplain was assumed to correspond to the 100-year floodplain. The Ecognition ruleset was calibrated by stage data for flood events from field data collection, USGS stream gauges, historic photos and newspaper accounts, personal communications, and spatially explicit historic flood information provided by Arthur Dawson for the Sonoma Creek watershed. 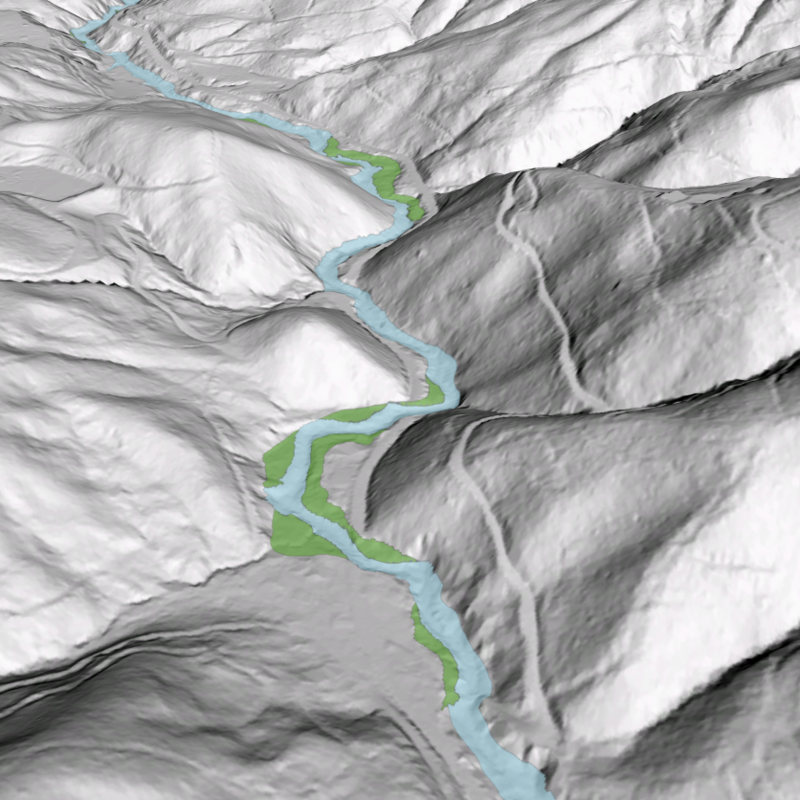 After Ecognition produced an automated model output, the riparian polygons were reviewed in the context of aerial imagery, field data, HAR, flow accumulation, and other GIS layers and manually edited. Manual editing required fine-scale evaluation of the HAR and slope layers and putting those into the context of flow accumulation, specific watershed conditions, and channel morphology. The screening level functional riparian maps were also compared to outputs from hydraulic models from O’Conner Environmental and FEMA transect data (where those data were available) and refined as necessary. 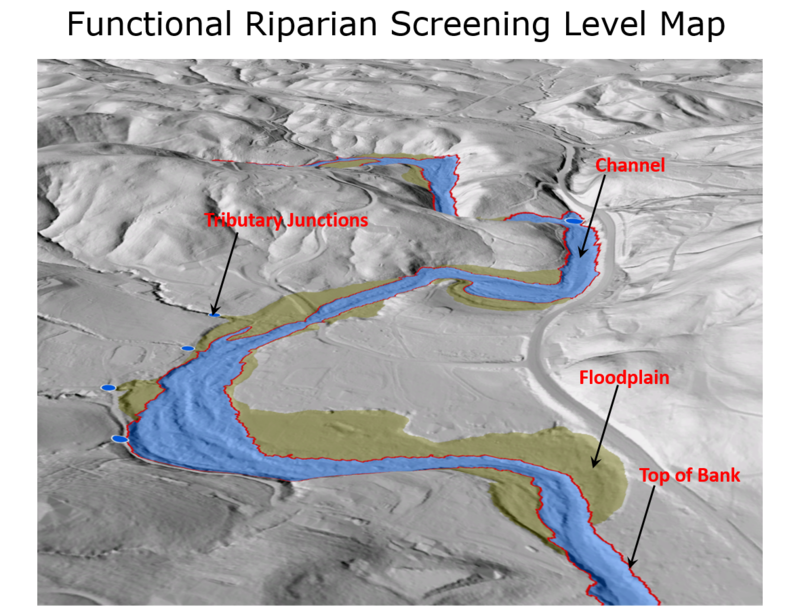 The final functional riparian map deliverables include polygons that represent channel areas, polygons that represent floodplains, lines that represent the top of bank, and ‘tributary junction points’, which represent locations where tributaries enter the functional riparian zone. Other deliverables include a story map that highlights functional riparian methods, maps and data and features services with historic flood data and field observations.